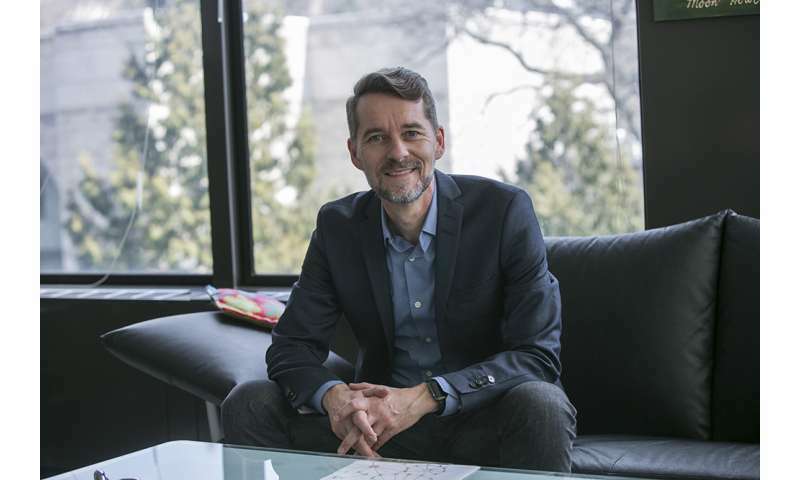 In a new opinion piece in a major publication, Morten Christiansen, professor of psychology, describes how the study of language has fragmented into many highly-specialized areas of study that tend not to talk to each other. He calls for a new era of integration in the paper, published July 31 in Nature Human Behaviour. The crux of the problem is each area of study proceeds in isolation from each other, he said. "For example, people working on language evolution often know little about how language develops and is processed," Christiansen said. "And researchers working on language acquisition are typically not aware of how the system they're studying works in adulthood and how it might have evolved in our species." Similarly, researchers working on language processing in adults usually don't know much about how the language system develops and how it evolved. And other disciplines with a stake in language are often even further removed from one another, he said. It's as if each subarea is trying to solve a crossword puzzle by treating each clue independently, and not referring to other clues for help, Christiansen said. "One subarea might focus on a few clues for 1-5 across, while ignoring all other clues – hoping that whatever clues intersect (such as 1-6 down) would come out by chance. Another area might focus on 1-6 down, hoping 1-5 across will fall into place," he said. "It's a strategy that is doomed to fail." Because all the clues interconnect, Christiansen argues that only by working together across different areas of study can language scientists solve the puzzle. "We can only hope to understand the nature of language by taking an integrated approach," he said. "Indeed, in this way some of the final clues might even reveal themselves as a result." The current fragmentation is rooted in the 1960s, when the ideas of linguist Noam Chomsky revolutionized the study of language. Chomsky proposed that humans have a genetic blueprint that allows us to learn and use language. It was later suggested that language is the product of biological evolution. While trying to substantiate Chomsky's theories, the language sciences split up into subareas, each attempting to understand various aspects of language in isolation. "Theoretical linguists, psycholinguists, child-language researchers, computational linguists, biologists interested in language, field linguists and more began to diverge, often to the point of mutual theoretical incomprehension," the authors write. Over time, many researchers began to challenge Chomsky's theories for lack of evidence. Instead, language scientists began to adopt a different approach: seeing language as the product of cultural, not biological, evolution. They realized they had been asking the wrong question, Christiansen said. "Instead of asking why the brain is so well-adapted for language, we needed to ask why language itself is so well-adapted to be learned by the human brain," he said. "Language has primarily changed to fit the human brain – not the other way around." While mainstream theory in the field has changed, the fragmentation has not. What's needed is integration, the authors say. The language sciences must follow the example of the biological and physical sciences, where interaction is ubiquitous. Embryologists work with geneticists; particle physicists work with cosmologists. An integrated approach could lead to real-world applications, from helping people with language disorders to developing better machine-learning tools, Christiansen said. "As computational devices become ever more important in our everyday lives, we need to make sure they build on the latest developments in the language sciences so that our devices and technology can better understand what we actually mean, rather than being stumped by how we say it," he said. The paper is a call to researchers to start working much more closely together across the different areas of the language sciences, Christiansen said. "Specialization is, of course, important but not at the expense of integration. Otherwise we end up each looking for answers where the nearest light is brightest but fail to see the big picture distributed across the many bright spots," he said. Christiansen wrote the opinion piece, "Toward an Integrated Science of Language," with Nick Chater of the Warwick Business School at the University of Warwick, England.